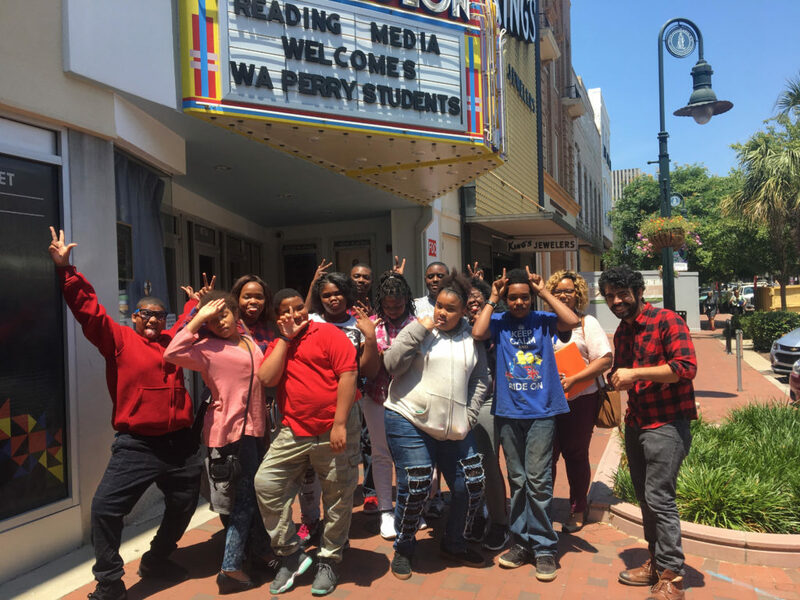 For the fall and spring of this previous school year, Indie Grits Labs had the honor of bringing a brand-new media literacy program to W.A. Perry Middle School. “Mega MediaLab” is a course designed to cultivate critical viewing skills, impart an expansive understanding of media in every form, and allow for some creative and entertaining engagement after a long school day. Week after week, I came to W.A. Perry with a new aspect of media in tow, be it the rhythms of emotion in television or the subconscious storytelling of music videos. We would watch and learn through a wild range of group activities, always changing in relation to the subject matter. We wrote and shot a short film, worked with green screens, learned the essentials of video tutorials via a paper airplane contest, had guest speakers and much more. As the instructor, the real joy was finding elements of each lesson that were immediately relevant to the lives of the students–not a difficult feat considering the ubiquity of media in modern life. Discovering aspects of what we discussed, explored, or created that they could take home with them and apply to their understanding of their world was always a spark that lead to moments of incandescence in the following lesson. Not only were the students charming, energetic, and ready to rock, but the faculty and staff were all marvelously supportive and encouraging, always having our back for anything. You really couldn’t ask for a better support system. This year was full of unforgettable moments, and I simply cannot wait to do it again this year!